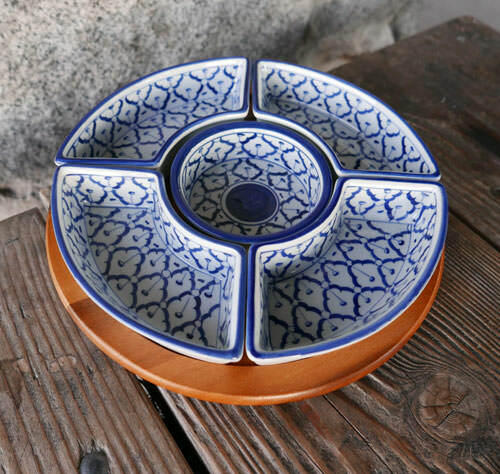 The top board holds 5 dishes that fit together. Each dish is made of thick ceramic with a beautiful strong glaze. Together the weight is 5 lbs. Capacity of each dish is about one cup. Diameter is 11 inches. Each piece is painted by hand using a traditional design unique to Thai artisans. This has wide appeal for Thai food or any style of cooking.